First designed in the 1970’s the Yak is still being manufactured and used by Air Forces all over the world. The Yak 52 was designed with one thing in mind – Aerobatics! Over 1800 of the type have been manufactured with the super-charged M14P engine giving a whopping 360 Hp and with it’s straight wing and span length ailerons can roll at over 180 degrees per second and snap roll even faster! To the untrained eye the Yak and Chinese built Nanchang look very similar but given that the Yak was built for aerobatics it has a straight wing and much larger control services. It also uses more steel in it’s construction and has external as opposed to flush rivets. This WW2 Trainer has been credited as being the foundation of Australian aircraft manufacturing. It was the first aircraft manufactured by Commonwealth Aircraft Corporation (CAC) which was formed by a group of Australian industrial, manufacturing and shipping companies. During the Second World War, both Royal Australian Air Force (RAAF) and Royal Australian Navy (RAN) deployed a number of Wirraways into combat roles, where they served in a makeshift light bomber/ground attack capacity, striking against the advancing forces of the Empire of Japan. The aircraft we fitted with a pair of forward-firing Vickers machine guns along with a single swivel-mounted machine gun you can see positioned at the rear of the cockpit. Similarly to a T-6 Texan/Harvard, the Wirraway was a development of the North American NA-16 training aircraft and notably, had also functioned as the starting point for the design of a wartime "emergency fighter", which was also developed and manufactured by CAC, known as the Boomerang. The Paul Bennet Airshows CAC Wirraway (VH-WWY) you see pictured began its life in 1940 as a Royal Australian Air Force CA-3 Wirraway with serial number A20-81. After its restoration back to flying condition was completed in 1989, the Wirraway was painted in the markings of A20-176. Today this aircraft displays regularly across the country often during occasions of remembrance for our fallen Australian heroes of WWII. The Grumman Avenger was the heaviest single engine aircraft of WWII. It was initially developed for the United States Navy and was first shown to the public at the factory on the afternoon of 7 December 1941 – Pearl Harbour Day. This three seat torpedo bomber, it was designed with angular folding wings to maximise storage space on aircraft carriers and first saw service in 1942 at the Battle of Midway. Powered by a 1950hp R-2600 14 cylinder radial engine, this aircraft has a unique sound like no other. The Avenger has a large bomb bay which could accommodate 1 torpedo, a 900kg bomb or up to four 227kg bombs. With its good radio facilities, the Avenger was often used as a command aircraft and was sometimes fitted with radar. This aircraft was also used in the Atlantic in anti-submarine warfare and famously flown by young future-President George H. W. Bush. On 2nd September 1944, George’s Avenger was shot down over the Pacific island of Chichi Jima. However, he was able to release his payload and hit the radio tower target before being forced to bail out over water. Unfortunately both of his crew mates died but he was rescued at sea by the American submarine Finback. He later received the Distinguished Flying Cross. The Avenger’s last military use was by the Japan Maritime Self Defence Force, between 1950 – 1960. Post war, the Avenger was used in border security, and was only retired in the late 1950s when the Grumman Tracker became available. In civilian use, the Avenger was used as a water bomber and for agricultural spraying, the last aircraft being retired in 2010. 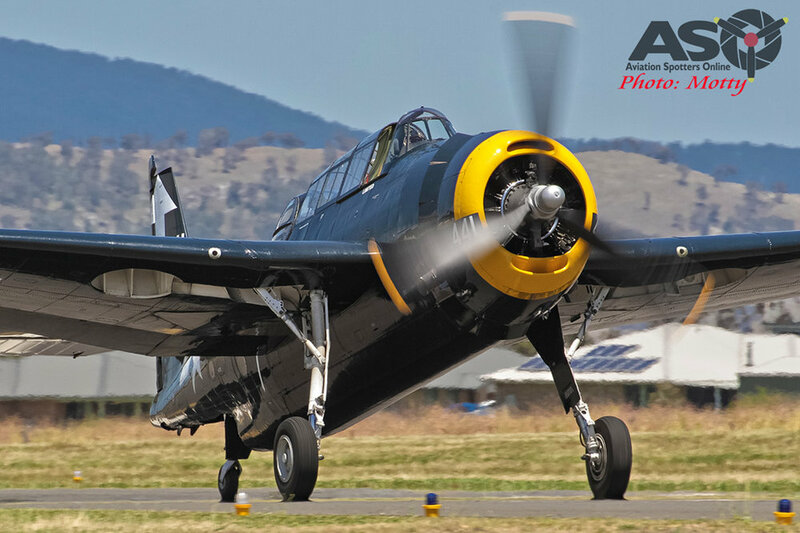 Get ready to see the full capability of the Grumman Avenger displayed, flying military style combat manoeuvres by the talented pilots at Paul Bennet Airshows. Of the 9,839 that were manufactured by Grumman Aircraft and General Motors, it is estimated that only 75 to 100 remain worldwide - The Paul Bennet Airshows’ TBM is the only one left in Australia. Copyright © 2018 Aerohunter Adventure Flights. All rights reserved.